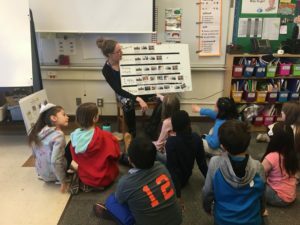 Although the winter was a period of change for us at Sauvie Island Center, we had an amazing time visiting various Portland public school classrooms and talking to students about where our food comes from, and what jobs are involved with getting it from the farm to the grocery store. Winter visits are special to us because we get to interact with students at schools and in classrooms. Thanks to two different grants we were lucky enough to offer winter classroom visits to many of our scholarship students. During the winter visits we touch on many of the concepts that were introduced during fall field trips. Teachers tell us that these mid-winter refreshers really support retention of the core concepts required for 3rd – 5th graders. We also explore topics related to farming with lessons around the journey food takes from farms to our tables and the people who harvest, prepare and transport these crops. 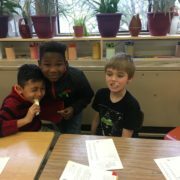 We discuss with students that all food (even pizza!) starts out on a farm. 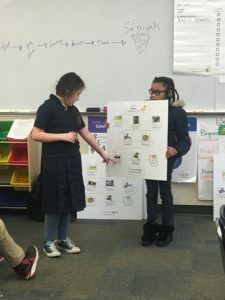 Here, two students from Rosa Parks are sharing the results of a group activity we do that traces a particular food’s journey from the farm to the store. These two are presenting the (long journey) bananas make from where they are grown to the Pacific Northwest. …And of course, we always taste something! 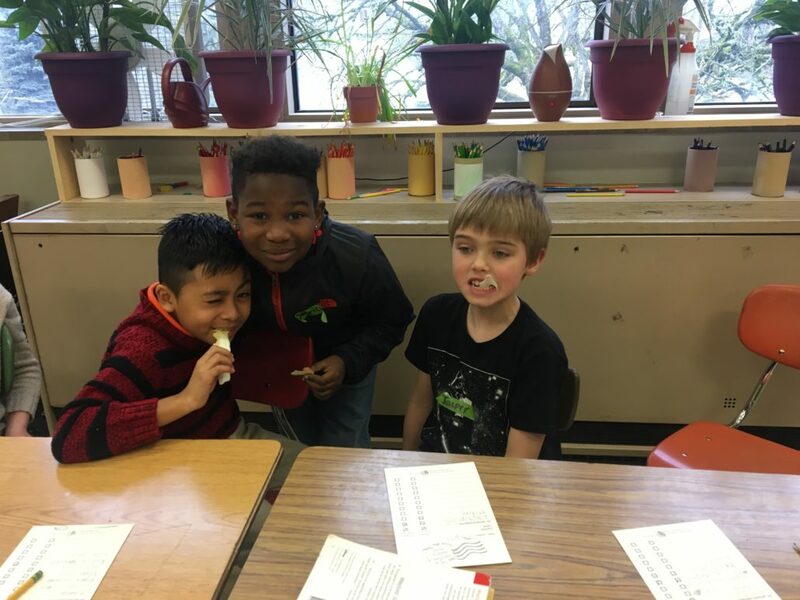 These students from Faubion are tasting endive. We heard so many different descriptions of this tasty vegetable, including crunchy, spicy, sweet and hot. 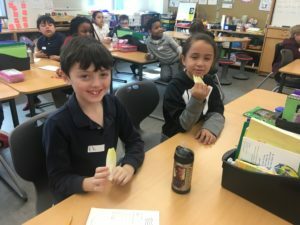 Tasting seasonal vegetables is a great way to keep farms fresh in the minds of our students. Another lesson explores our food journeys from the first visit, while also tracking all the jobs that are required to carry them out. In all, we visited 26 Portland Public School classrooms – with most of them participating in two winter visits. It’s been a wonderful winter , but we’re ready to get our hands back in the dirt. Hooray for spring!